Journey across England by bike from the Irish Sea to the North Sea. Cycling through the Lake District and past the stunning Helvellyn Mountain range. Discovering the prehistoric Castlerigg Stone Circle. Completing the challenge of a 580 metre climb up Hartside Pass. Greystoke Castle, home of Lord Greystoke, upon whom the Legend of Tarzan is based. 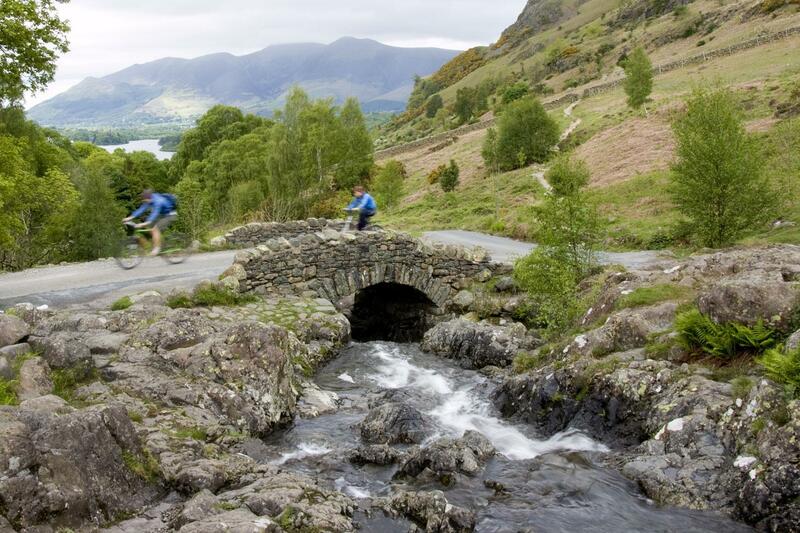 Cycle from the Irish Sea to the North Sea, west to east, along the UK’s most popular long-distance cycle path, the C2C. Dip your back wheel into the sea at the beginning of your epic journey and your front wheel in at the end, as tradition demands. 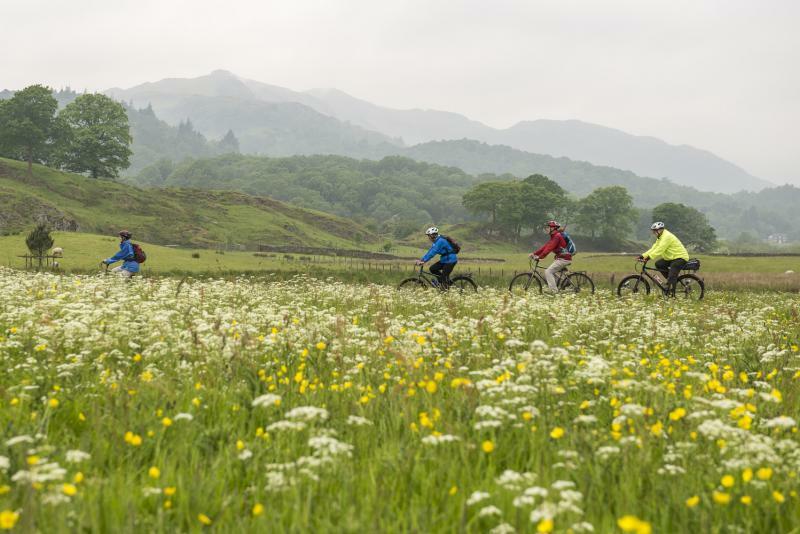 Pedal along quiet country lanes and cycle paths with the rugged mountains of the Lake District National Park and heather covered moors of the North Pennines as your backdrop. As you pass through Cumbria you will be in awe of the surrounding peaks of Helvellyn and Skiddaw, which provide some of the most stunning scenery in the UK. Arrive Newcastle and check in to your hotel. The rest of the day is yours to explore the sights of this vibrant city. The Hotel Indigo is a delightful boutique hotel centrally located in Newcastle. The design of the hotel has been heavily influenced by its location within the historic Grainger Town area and features bold geometric columns, classical proportions, and repeating patterns to mimic the architecture in the local area. You can also dine at the hotel's Marco Pierre White Steakhouse. You will be picked up early this morning and transferred across to Whitehaven to start your cycle. Dip your wheel in the Irish Sea to mark the start of your 140-mile adventure. 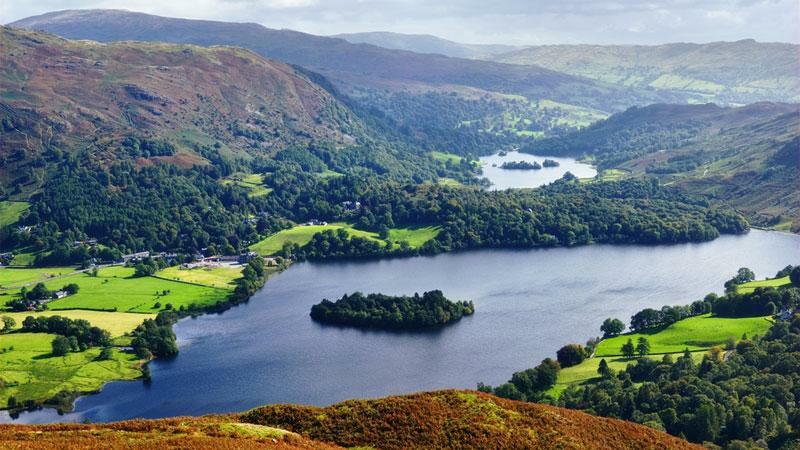 Leaving the West Coast behind, you quickly enter the lush green Lake District National Park before shortly arriving into the busy town of Keswick and your accommodation for the night. Linnett Hill is a beautiful period bed and breakfast providing quality accommodation in the heart of Keswick. After a hearty breakfast you will have a short cycle to the sights of Castlerigg Stone Circle and Greystoke Castle. Once you leave the Lake District and enter the North Pennines you will reach the toughest climb of the route up Hartside Pass where you will have the chance to refuel at England’s Highest Café. From here it's a short ride to Alston and your accommodation for the night. An imposing 17th-century building situated a few minutes stroll from the centre of Alston. After passing the former mining village of Nenthead, which still boasts many miles of accessible mines, your morning starts with a climb to your highest point at the top of Black Hill (609 metres). Following this you are rewarded with a relatively easy ride to Stanhope. You can be sure of a warm welcome when you arrive at Parkhead Station House. There is a guest lounge to unwind in the evenings, or in summer evenings enjoy the beautiful outdoor surroundings. 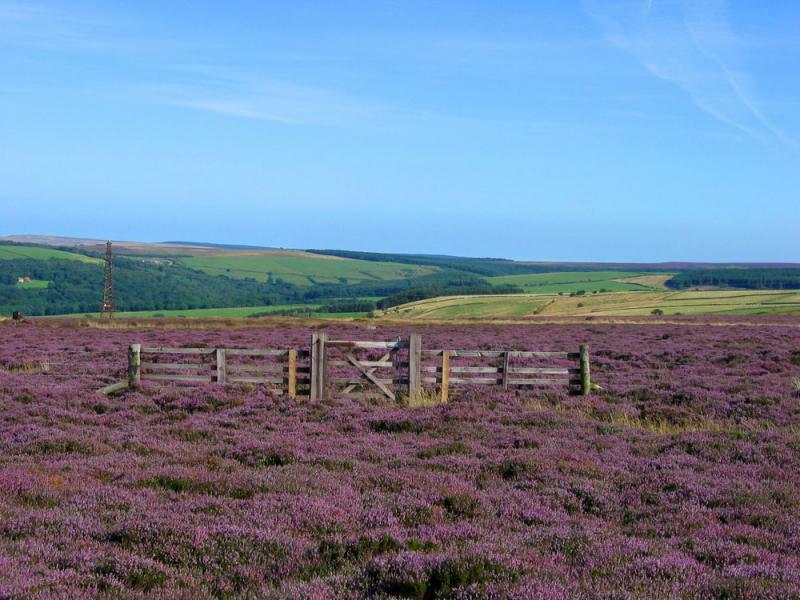 A steep climb out of Stanhope takes you up Crawley Side to join the Waskerley Way which is rewarded by wonderful remote moorland views.This last leg of your trip leads you through the North Pennines Geopark and countryside until reaching the River Tyne. Finally, you reach the sea at Tynemouth Castle to dip your front wheel in the ocean to signal the end of your tour of Northern England. You will be picked up in Tynemouth and transferred back to Newcastle to either pick up your car or to the train station to connect to your onward travel. We specifically choose the hotels, inns, guesthouses and B&B’s to ensure that you enjoy every minute of your stay. All offer a warm welcome to cyclists, traditional hospitality and delicious local food. This cycling holiday cannot be booked if you are travelling solo as it is costs-prohibitive. Single rooms are available, subject to availability and with a supplement payable. Please note that singles may not be of the same standard as twins/doubles. A hearty breakfast is included each morning. Lunch and dinner are not included so you are free to choose from the available options. Most of your accommodations will more than happy to provide a packed lunch on request and this can be booked on arrival. Dinner is available either at your accommodation or nearby pubs. Linnett Hill is a beautiful, family run, period Guest House providing contemporary accommodation in the centre of the stunning North Lakeland town of Keswick. 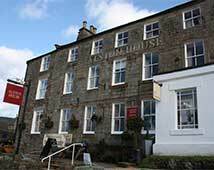 Alston House Hotel Hotel is situated in an area of outstanding natural beauty. Relax and enjoy the stunning views of both the South Tyne River and the fells beyond. Parkhead Station has been specifically designed with cyclists and walkers in mind, renowned within the cycling fraternity and certainly the place to be on the C2C & downhill all the way to the coast! The C2C is available from April through to September. Any time between these months is good to take this tour. Spring is beautiful and September will be less busy than July and August. You can start on any date that suits your travel plans and you will find up to date availability on our website. The Sea to Sea (C2C) cycle is very popular so it is best to book as far in advance as you are able to. This independent cycling holiday is not available to solo cyclists as it is cost-prohibitive. If you require single rooms in your party we will, of course, try to accommodate your request, subject to availability. This tour is rated moderate to strenuous because it is such a challenging route. We have a couple of options so that you can choose to make it a little easier, but there is a lot of climbing, which keeps the grade the same despite lessening the miles. The steepest climbs and highest point are in the Pennines. However, if you pace yourself well and have very good physical fitness and are used to cycling between 30 and 50 miles you will be able to do it. 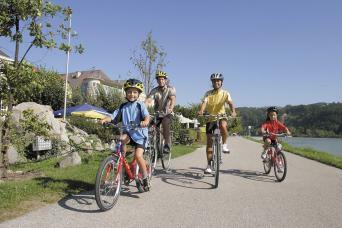 You will be cycling on bike paths and quiet roads. 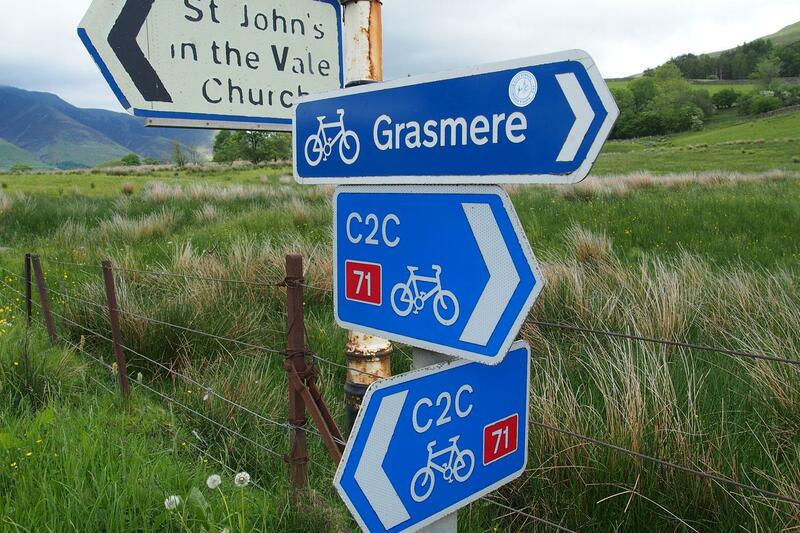 The C2C cycling trail is a National Cycle Network Route and well-signposted. You will be provided with a comprehensive guidebook and detailed map. Bike hire is available as an optional extra. Good-quality hybrid bikes are available. The bike will be a Giant Roam or something similar. Full details about the bike will be in your information pack. All rentals include a helmet, lock, rear panniers, rear luggage rack, water bottle holder, a pump, 2 spare inner tubes, puncture repair kit. The distances and ascent/descents are approximations of the recommended routes. Please be prepared by packing all necessary items, for example, proper rain gear (jacket and pants), sun hat, sunscreen. Your information pack has a detailed equipment list which includes standard cycling gear such as a warm and waterproof clothes for the cooler months and lightweight clothing for summer. 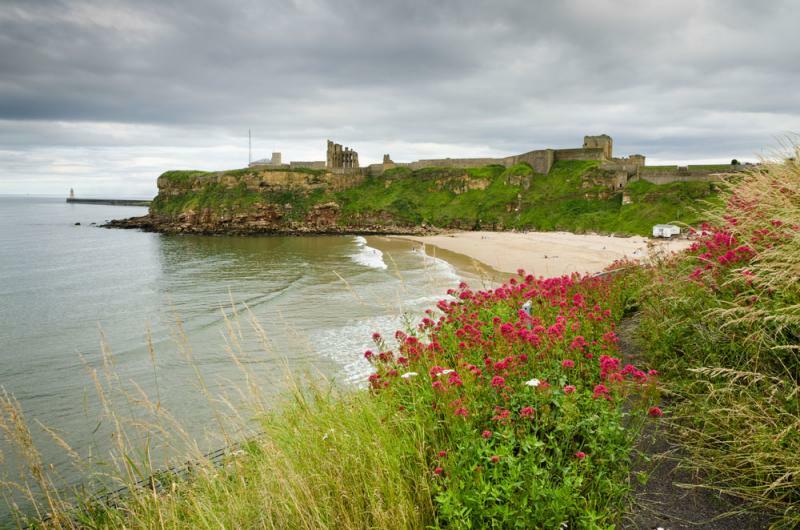 The C2C Cycling route begins in Newcastle and finishes in Tynemouth. From Tynemouth an included transfer will bring you back to Newcastle (approx 30min journey). Newcastle is a major transport hub in the Northeast of England and has excellent rail, road and air links from both Scotland and the South of England. You can plan your travel by checking Traveline. If you are planning to drive to Newcastle, you will be able to leave your car at your accommodation. If you are doing this please let us know so we can check if there is enough space for you. 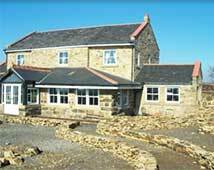 B&B, guesthouse and country hotel accommodation including breakfast in twin/double ensuite rooms wherever possible. Transfer from Newcastle to Whitehaven and from Tynemouth back to Newcastle. A detailed info pack, route notes and map for the group leader. Planning a cycling holiday can be daunting, especially if this is your first long distance cycling holiday. We are often asked the following questions and hope that you will find the answers useful. We suggest you book as soon as your plans are finalised as the Sea to Sea Cycle Route is extremely popular especially over April/May and July/August. You will find up to date availability on our website and we will always try and accommodate your plans. We offer three itineraries so you can choose your preferred daily distance so hopefully, you will find an itinerary that suits your preferred level of activity. If you currently don’t enjoy an active lifestyle we suggest regular cycling in hilly terrain supplemented by cardiovascular exercise for at least 6 months prior to your cycle. A good gym or personal trainer will be able to draw up a personalised training programme. You will need a bike in good condition, we would recommend a hybrid or a mountain bike with semi-slick tires. 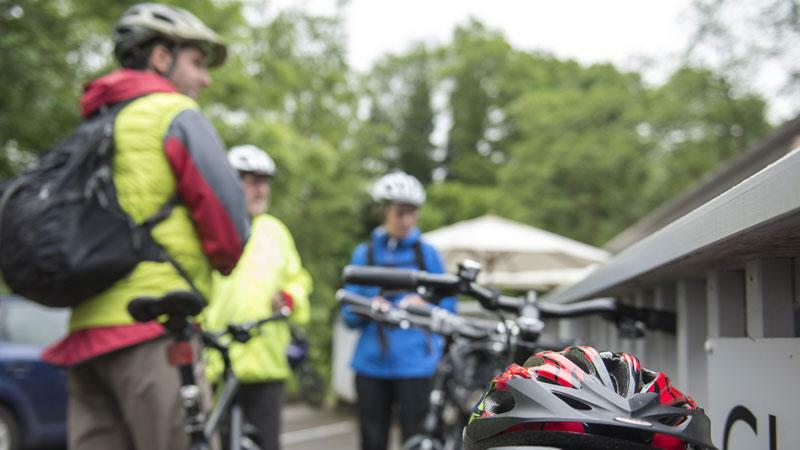 Your information pack has a detailed equipment list which includes standard cycling gear such as helmet, cycling clothes warm and waterproof clothes and a day pack. Traditionally April/May has always been the most popular time of year because the theory goes that the weather is better. However, any time between late March and October offers a wonderful experience. Each hotel we were booked into was a great place to stay. Having great weather on our journey was a bonus and though it's not possible I believe that macs would have booked great weather for us too if they could have. The whole experience was better than the expectations I had. I would definitely recommend Macs or more to the point- I would insist that folk use Macs for their adventures. Challenging at times but rewarding and great fun! We decided to book this fairly late after waiting to see a long range weather forecast (which didn't look too bad for the last week in September). The arrangements by Macs Adventure were great and communications were good and the company (Pedal Power) used to transfer our luggage between accommodations and to transport us and our hired bikes to Whitehaven and pick us up from Tynemouth were efficient and friendly. The ride itself (over 4 days) was great, allowing us to stop every so often and enjoy the dramatic scenery, and to occasionally enjoy the local hostelries! Some of the hills are challenging so you need to be fit but it was really rewarding. All accomodations were good but the one at Parkhead Station House (see image) as special and its well worth pre-ordering a evening meal here in advance because it's 3 miles uphill from the nearest village (and it is licensed!). We were very lucky with the weather and we didn't get wet once (rained one night though) but it did get cold at times (reaching heights of 600m) so go prepared for all weather eventualities. Only one puncture as well between the two of us!! Thouroghly remommended. My daughter and I enjoy medium challenging cycle rides when we can and so with little time available, the 4 days/3 nights C2C appeared the right level of challenge for us ... and it was. We were out for about 7 hours each of the first two days including lots of little stops and lunch. There were some challenging hills and we were very happy that the final day down into Tyneside was mostly downhill or flat. The accommodation in Penrith was good with friendly hosts and plenty of restaurants in the town. The Parkhead Station accommodation outside Stanhope is a challenge to get to at the end of the day but worthwhile. Make sure you book an evening meal - the hosts did an excellent job accommodating my daughter's dietary needs and we slept really well that night. All in all, we enjoyed it very much even with rain for half of day 1 and 3. Great Scenery. Easy to organise. Easy to follow route and instructions. Although we got away without any problems apart from when we hit Newcastle (which ended up being very fortuitous as we had a puncture 100 yards away from a Bike Hub) with hindsight it would have been useful to have had a map or list of where nearest bicycle shops/Halfords etc were located along the route in case we ran into any issues. Adventure for thrill seekers who don't need to worry about the nitty gritty of getting anything but yourself around. Started off with three of us One guy had a bad back ( no fault of anyone else) Ended up a father and son adventure. Awesome. Everything just perfect. Great accommodation. Transfer of bike very efficient. Good value. Whilst it was a lot more difficult in places and we were a bit underprepared, the trip overall, the scenery and accommodation were outstanding. It is described as moderate to strenuous and whilst we are very used to road and hill cycling in NZ, we perhaps underestimated the intensity of the ride. We were lucky with the weather, but it was still chilly in mid-May. The whole trip was very enjoyable and we completed the journey feeling exhilarated and extremely satisfied. We're also grateful to Ian & Darren from Pedal Power for their wonderful service in bag transfers and delivery and pick up. Ian went out of his way to make our bike fits optimal. Last comment - we seemed to miss all C2C signage to the finish point, (or is it possible that the signage isn't very apparent ?) on the final hour of the ride, and found ourselves asking people several times, for the route. This was a well-organised trip and all aspects worked well. The hotels were good in the main, however I personally found the rooms too small (Apart from Newcastle) for sharing at each venue. The food at Kings Arms, Keswick and Lowbyer Manor was good, but the evening meal at Parkhead Station House left a lot to be desired. Am disappointed that our 8th member, Phil Milanes lost the whole of his money bearing in mind that he had genuine family problems and all of the hostelries knew that we were 7 and not 8 persons. Scenery was as breathtaking as the climbs!! 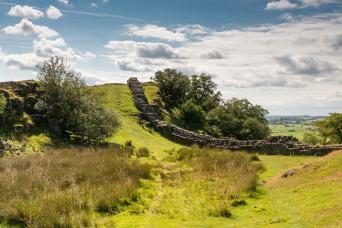 The C2C trail includes scenery that simply cannot be described. The Lake District is postcard-perfect, and the vistas from the Pennines seemingly go on forever. "I can see Russia from my bike" once crossed my mind. (Thanks, Tina Fey.) Our research before leaving prepared us for the challenge to come, and it is a challenge. My husband is an avid and very strong cyclist whereas I only started cycling a few years ago after a long career as a heavy smoker. Needless to say, I was a bit pessimistic that I could do the entire trip and those climbs! However, I went with the attitude of "I can always walk if I have to." Admittedly, I did have to walk a few times for a short distance, but only in those spots that had been identified as particularly steep (climb out of Garrigill and climb up to Parkhead Station). I conquered Hartside Pass (with a few rest stops along the way) and a number of other climbs that I did not think possible, including the climb up to the Stone Circles (which is well worth the effort, by the way - 360 degree vista of fells). I was slow, but I got there! The hosts at all the Inns were welcoming and extremely helpful. The dinners were also an absolute treat, in particular, the meals in Alston (Lowbyer Manor) and Parkhead Station were well beyond what we anticipated. The included breakfasts were also plentiful with a wide variety of quality options. As far as the humdrum of administration goes, the route was well marked, our luggage was always at the next stop to greet us, and the Pedal Power folks (Iain and Darren) were amazing. Iain went out of his way to return something left in the van to us before we left the country -- service well beyond what would be expected. The whole experience with Macs (and Pedal Power) was very positive and I would not hesitate to use them again for our next adventure. And make no mistake -- there will be a next adventure! 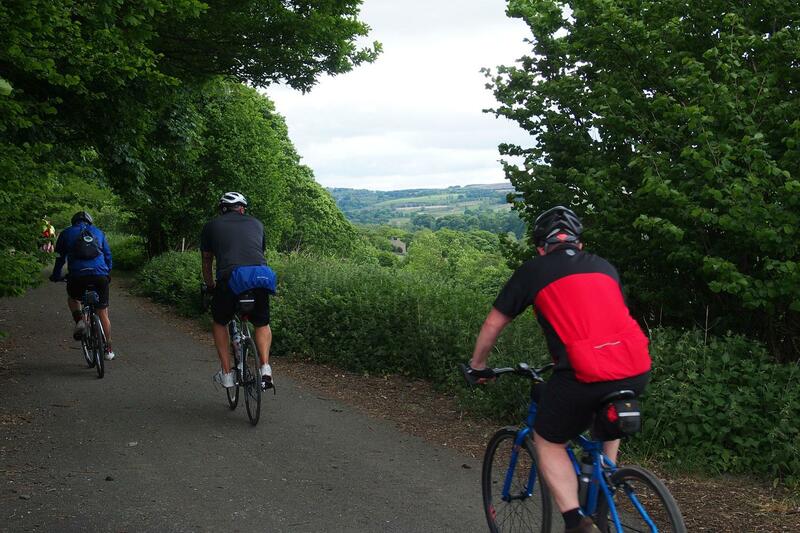 Cycling primarily along quiet country lanes and cycle paths through England’s largest National Park, outstanding countryside and the North Pennines Geopark it's easy to understand why this is the most popular long distance cycle on the British Isles.